1. The subject of the book. It deals with the foremost doctrinal and experimental truths of the Christian Faith. 2. The means of instruction used. It is based on the Westminster Assembly’s Shorter Catechism, in which the main principles of Christianity that lie scattered in the Scriptures are brought together and set forth in the form of question and answer. This Catechism is unsurpassed for its ‘terse exactitude of definition’ and ‘logical elaboration’ of the fundamentals. 3. The style of the author. 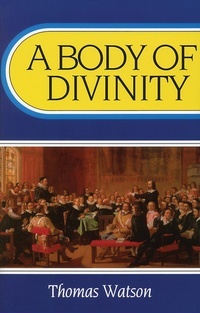 Watson conveys his thorough doctrinal and experimental knowledge of the truth in such an original, concise, pithy, rich and illustrative style that he is rightly regarded as the most readable of the Puritans.